Superhuman Memory: Forty-two-year-old Jill Price remembers every single moment of every day of her entire life. The Human Magnet: Aurel Raileanu can make spoons, irons, and television sets stick to his chest. The Exploding Grandma: Mavis Price claims that her body causes electrical equipment go haywire or explode. The television crackles whenever she walks past, and her touch makes people's hair stand on end. Wow! I have a freaky twin story. So my friend Emma (12) has a twin named Ethan. They were born on May 6th. They HAD a triplet, but he/she died before birth (and before gender was identified). So, the next year, their mom has another baby girl. On May 6th. What is the top picture supposed to be of (besides a woman)? How does it relate to the post? Are Mavis Price and Jill Price related? Do you think Jill remembers the day she was born? IT: Yeah, I probably should have explained that. 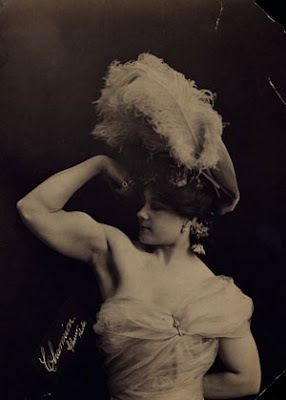 The woman in the picture traveled the country in the early 1900s as an oddity and "freak of nature" just because she had "man-like" muscles. Spiffy: That would be one heck of a family, right? IM and Ariana: My sister was born on my birthday, and throughout our lives we were given the very same presents, which annoyed me to no end, since I was the eldest. So I believe that EVERYONE deserves his/her own birthday! Even twins! LOL "no, she didn't eat her"
Wow. o.o Those were all amazing (and I read all of them). Kinda makes me glad I don't have 'superpowers'. THANK YOU FOR POSTING! I was watching 20/20 and it was all about Jill Price. It would be soooo hard to live like that eh? Her husband died of a diabetic attack, but when he was alive, she was saying that her memory "wasn't the same". Also, she said that her mother would frequently pick on her about her weight, and Jill Price could remember what sentance, time, and day of when she said anything offensive. freaky, but cool. 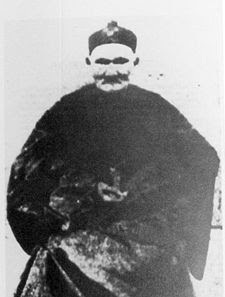 Does anyone know what martial art Li-Ching Yuen Studied??? I'm dubious of magnet man. If you look at the pictures you can see he's kind of bending back. It looks like he's just worked out how to balance stuff, or make it stick like you can make a spoon stick on your nose. If he's really magnetic, why haven't we heard about him on the news? Why aren't scientists studying him? And why hasn't he proven his ability to that fellow offering a million bucks to anyone with a superpower? This reminds me of 'Be Knd Rewind" when Jack Black(WHo plays Jerry) gets magnetised and deletes all the data on his friend's video store. Sorry for the randomness. Super Himan Memory?? XD I can't even remember what I did yesterday! But I think the grandma part's really funny. Street Light Interference syndrome xD Awesome name for a strange condition. I saw jill on 20/20 too. Also, a wierd fact. My brother and a cousin share the same birthday. But also, my other cousin(her sister)shares the same birthday with me.